Chances are, if you're reading this, you care about your community. You're involved with the daily life of the neighborhood to some degree, and if you want to get more involved, you know that there are plenty of options and resources to help you figure out where your talents would be most useful and the work enjoyable. But what if your neighborhood was made out of cardboard and corrugated sheet metal? Where would you start then? As it turns out, if you ask the experts on informal settlements at UN-Habitat, they'll give you an answer that sounds a lot like what an org like PPS might tell you back home: start with the public spaces. 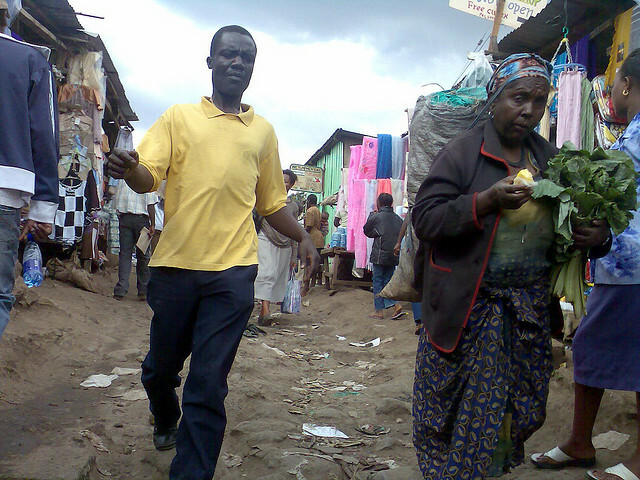 While perhaps counter-intuitive at first, considering that many developing-world slums lack basic necessities like clean water, electricity, and health care, it turns out that great public spaces are even more important to places like Nairobi's Kibera and Mumbai's Dharavi, because they allow many issues to be addressed at once. "You have to get people to understand that, when they are planning a city, they have to think multi-sectorial," says Thomas Melin, a Head of Habitat's Office of External Relations. "If you go into a slum area and you try to sort out only one thing--the power, the water, etc--it will not help! It might even make things worse. You have to sort out several basic things in order to get neighborhoods to work." Public spaces bring many different people, activities, and government functions together where everyone can see them; this makes them ideal places to show, by example, how multi-sectoral (aka interdisciplinary) planning processes like Placemaking can start the process of transformation that turns informal settlements into thriving urban neighborhoods. In recent years, we have been increasinly asked to support Placemaking in the Global South; it made perfect sense, then, to partner with the UN-Habitat in 2011. "When you have these kinds of partnerships," Melin explains, "you exchange, and you help, and you assist, and both parties learn--there are enormous needs in the world, and there's a need for a network like the one PPS has in the US, but for the whole world." With more than half of the world's population living in cities and with the gap between poor and affluent areas widening, the need to adapt and adjust Placemaking for new audiences in informal communities is particularly acute. Poverty is rampant in these settlements, making Western notions of "private space" for commercial and social activity seem quaint. 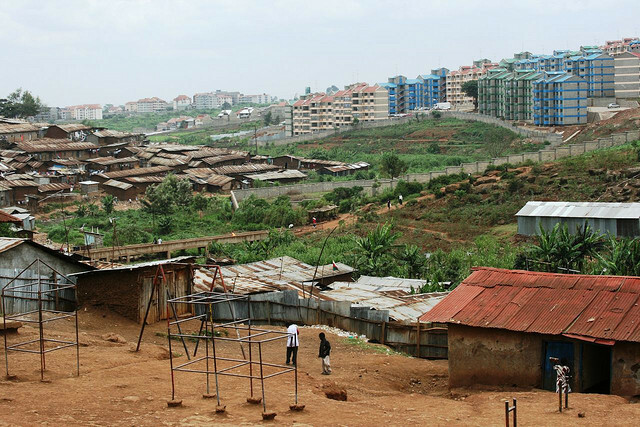 "People in Kibera use public spaces very differently from how they might in, say, New York City," notes PPS's Cynthia Nikitin, who led a series of Placemaking workshops in one of Africa's largest slums this past spring through our partnership with UN-Habitat. "In New York, 'public space' translates to a park, or a plaza. 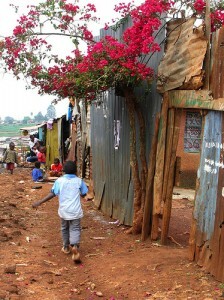 In Kibera, the streets are truly the public spaces, and people are out all day, every day: selling, begging, trading. People make their living--they live their lives--right out in the streets. Having safe and adequate places for that activity is as vital in these areas as water or electricity." So why haven’t international NGOs and UN-Habitat been focusing on public spaces for ages, already? According to Juma Assiago, the Human Settlements Officer leading the Global Network on Safer Cities (GNSC) with UN-Habitat’s Safer Cities Programme, the organization’s partnership with PPS and its broader shifts in focus are the culmination of a decades-long shift in thinking. “We’ve moved from the conception of local government alone to local governance that claims responsibility for all city stakeholders in the planning, management and governance of urban centers,” Assiago says. In the Stockholm Conference in 1972, the UN-Habitat was formed by member governments of the United Nations. This was followed soon after by the Habitat I gathering in Vancouver, where the discussion was largely focused on creating an agenda for providing more safe and adequate housing for all. True to the times, there was little concern with the spaces between the buildings themselves. Following much of the same logic that led to slum clearance and urban renewal in US cities during the decades before it was formed, Habitat's mandate led to the organization's early focus on bricks-and-mortar solutions. At the Habitat II summit in Istanbul twenty years later, member states and partners came to agree that human settlements development was not a housing-only challenge, but included the built environment and the living environment encompassed by the built environment. 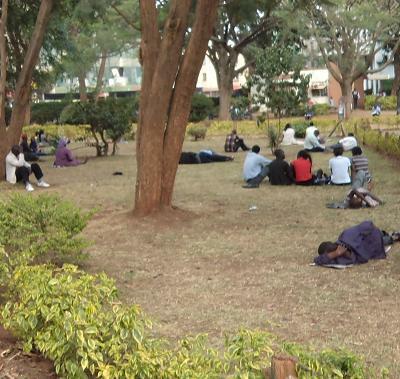 The UN-Habitat mandate widened in response. "This was the major outcome in 1996," notes Assiago. "To be able to achieve sustainable human settlements, member states acknowledged the need to develop partnership arrangements that allow various stakeholders, including the private sector, NGOs, youth groups, women’s groups, and academia to participate as equal partners with governments in shaping cleaner, safer and more equitable cities, towns and villages. By 2007, for the first time in human history, the majority of the population was urban as compared to rural. A fundamental shift is taking place from a sustainable human settlements agenda to a sustainable urban development agenda." With that has also come a shift of focus of how cities are being built, and in how people perceive development: urbanization is increasingly now seen as the source of development, and not the outcome of development. "This has led policymakers and practitioners alike to critically question: are we having people for the structures or building structures for the people?" Assiago says. "This shift in thinking is placing more emphasis on cities for people which moves us from the aerial skyline view of cities to the level of the walking persons eye level view of cities." Melin echoes this sentiment when speaking about Habitat's work in Nairobi: "We use public space as a symbol when we train different municipalities around the world to take a more multi-sectorial approach and specifically think much more about individuals. Cities are about people, it's not really houses. Take the houses away and the city will still survive; if you take the people away, there is no city." This, in turn, echoes the sentiment at the heart of the work that PPS does. Placemaking is, first and foremost, an inclusive process that brings people together to take part in shaping the public spaces that will serve as platforms for the daily life of their communities. Creating great places and creating great human networks are, in fact, one in the same. Elijah Agevi, the CEO of Research Triangle Africa, put it beautifully when he wrote of the workshop that Cynthia led at Kibera's Silanga field, "It was certainly one of the key milestones during the Placemaking process. It was humbling to see different stakeholders working so constructively together towards a common goal!" In cities like Nairobi, slums nestle up next to the freeways, garbage dumps, golf courses, and other awkwardly-inserted implements of Western culture that have gouged their way into the rapidly-changing cityscape. While the formal and informal cities often sit within spitting distance of each other, they operate as two different worlds, with very different civic lives. In the formal city, Melin explains, the system is set up to service a wealthy and powerful minority. Engagement is mostly non-existent for many residents, and often there is not even a legal right to participation. In informal settlements, however, services are provided more often by NGOs than by local governments, which has created a very different climate. "These organizations utilize participatory decision-making as a means to ensure that they do something that the community needs, understands, and will continuously maintain," he says. "You need to get the buy-in. There's no use in building a clinic if everyone wants a school. This means that people in the slums have rarely seen a project which is not very participatory! If we come together with partners and want to create a public space, we have to invite participation; there's no other way. This is the norm." The process of creating strong public spaces for vibrant and resilient neighborhoods offers residents of developing-world cities a unique opportunity to not only build stronger and more permanent physical settlements, but to build more robust civic social networks as well. Placemaking can serve as a bridge linking the resources of the formal city and the open culture of the informal city, enriching life on both sides. Most likely, this will in turn inform the way that Placemaking processes are led in cities in the developing world as well, as Western society shifts toward a more publicly-oriented, less ownership-driven model out of necessity. "That's why we're excited about this partnership," Nikitin says. "We not only have the opportunity to learn new things, but to learn them in new ways, and to see Placemaking from an entirely different perspective." "The globe is becoming increasingly urban, and on the other side, urbanization is becoming global,” Assiago says. “Sometimes, when we are approaching Placemaking and public spaces, the common mistake is to apply techniques as if one size fits all; but this is not true! Through learning from practice, we begin to understand how cities are human creations that configure themselves to development in totally different ways based on the social context…the social capital of the city. We need to be able to understand those flows in order to connect with the richness of value and quality that public spaces can provide." In the words of Cecelia Martinez, former director of Habitat's NYC office (and now a PPS board member), "Whatever you do for human kind, you do it in cities." To that end, we are already working with our friends at UN-Habitat and Nairobi's City Council on an initiative, announced by the Kenyan capital's mayor, "to make Nairobi a social city" by creating 60 new public spaces around the city over five years. To advance this conversation globally, PPS has released a working draft of a new publication, Placemaking and the Future of Cities, that we have completed for UN Habitat with strategies, and case studies, for improving public spaces in urbanizing cities. This new booklet is designed to serve as a guide for mayors who are interested in using the Placemaking process to directly engage citizens in the revitalization of their cities. With UN Habitat, PPS will be covening global leaders in Barcelona on the issue of Public Markets March 26th-28th, 2015. Public Markets and informal markets can be catalytic public spaces, and economic development engines, for leading sustainable urbanization.